The House of Representatives voted Wednesday to hold former IRS official Lois Lerner in contempt of Congress for refusing to testify about the agency’s targeting of conservative groups. The House voted 231-187 for a resolution holding Lerner in contempt. Lerner’s case will now be sent to the Justice Department, which then must decide whether to essentially prosecute Lerner in the case. House GOP leaders have said Lerner’s testimony is important to fully investigate the scandal, in which IRS agents singled out Tea Party nonprofit applications for extra scrutiny. “Thorough investigations by the Oversight and Government Reform Committee as well as the Ways and Means Committee have revealed findings that indicate that Ms. Lerner played a central role in the illegal targeting of conservative groups by the IRS,” House Majority Leader Eric Cantor, R-Va., said in a memo last month. 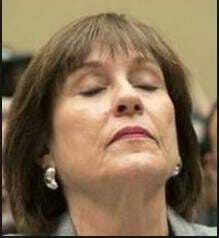 Last May, Lerner refused to answer questions at a hearing about IRS agents singling out Tea Party applications. She again refused to answer questions in March, citing her Fifth Amendment right against self-incrimination. The House Oversight Committee voted to hold Lerner in contempt last month. All Republicans voted in favor and all Democrats voted against. Lerner directed the IRS division that processes applications for tax-exempt status. She retired from the IRS last fall, ending a 34-year career in the federal government, including work at the Justice Department and Federal Election Commission.